"The key to happiness is the mind. With the mind, we can switch our life to suffering or we can switch it to happiness, just as we change television channels, choosing to watch programs about fighting and war, or peaceful things, like the nature programs people seem to enjoy. Experiencing happiness or suffering depends entirely on what we do with our mind." Gordon presents the subjects taught by Rinpoche in the order in which they were given, beginning with a deep commentary on the meaning of sang-gyä, the Tibetan term usually translated as “buddha,” and retaining the powerful method by which Rinpoche would repeatedly reinforce and expand upon earlier topics. 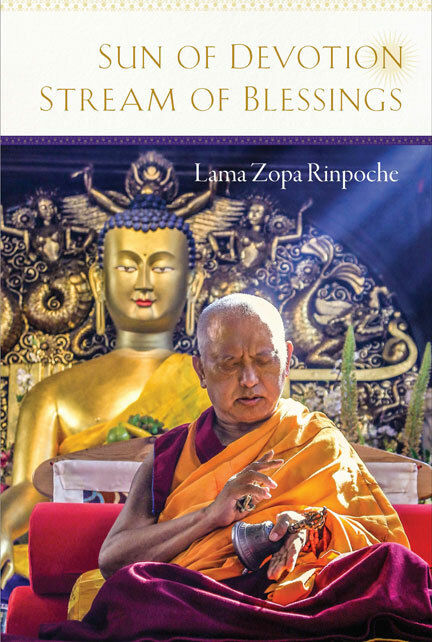 Rinpoche also spends much time discussing the great qualities of Khadro-la (Rangjung Neljorma Khadro Namsel Drönme), the incredible being who has become so important to Tibetan Buddhism, FPMT and the world.